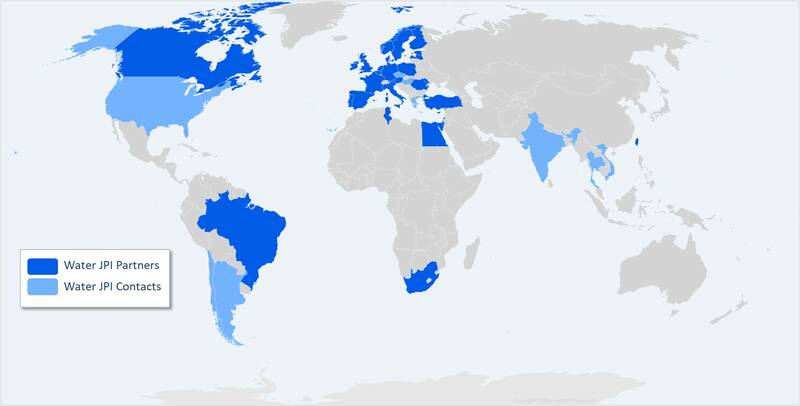 The Water JPI membership has grown in November 2017, with the integration of two member countries: Latvia and South Africa, and 2018, with integrationof the Czech Republic. 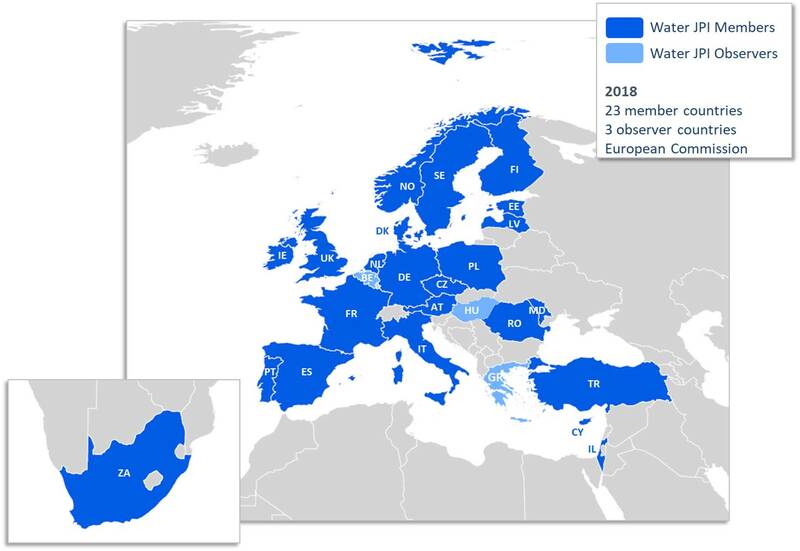 Currently with twenty-three partner countries and three observers, the membership accounts for 88 per cent of all European public RDI annual expenditure on water issues. One of the main key achievements of the Water JPI, since its approval by the European Member States in December 2011, is the high level of partner involvement in implementing joint transnational calls. 3 observer countries: Belgium, Greece, Hungary. The international cooperation dimension of the first implementation actions of the Water JPI include Israel, Norway, the Republic of Moldova, South Africa and Turkey (full Water JPI members), as well as two additional Horizon 2020 associated countries (Egypt and Tunisia) and three international partners (Brazil, Canada and Taiwan).